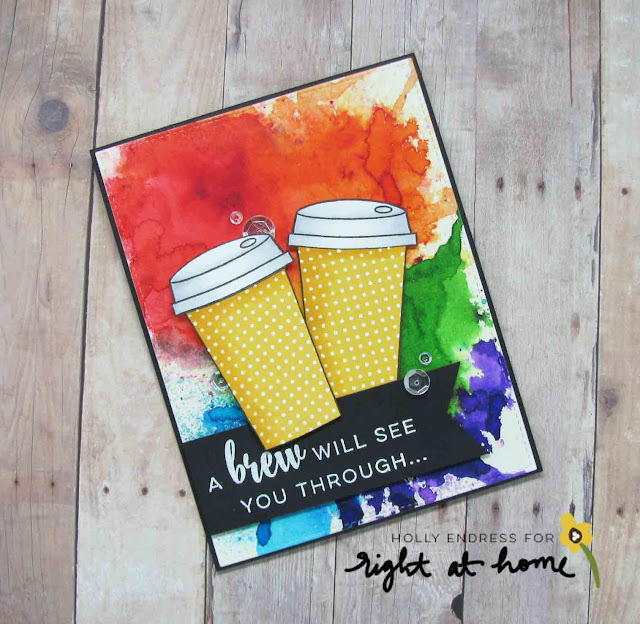 Hollybeary Creations : A Brew will see you through..
A Brew will see you through.. Happy Tuesday everyone.. I hope you're week is starting out great! Today I'm sharing a card using the January Release from Right at Home. If you are a fan of Coffee sets you need these! I started with a piece of watercolor paper and I added some Rainbow colors with Ken Oliver Colorbursts. These are watercolors that start in a powder form. Once I had the background how I wanted it I die cut the panel using a stitched rectangle. I adhered the stitched panel to a A2 size Black card base. 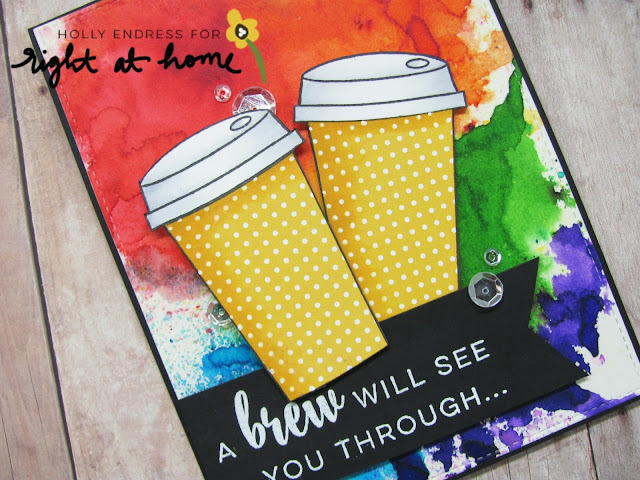 I stamped the coffee cups from the Cup of Joy set onto some White card stock and I paper pieced the cup portion with some Yellow Polka Dot pattern paper. I added some Copic shading to both the cup and lid areas. The sentiment is from the new set How have you bean? 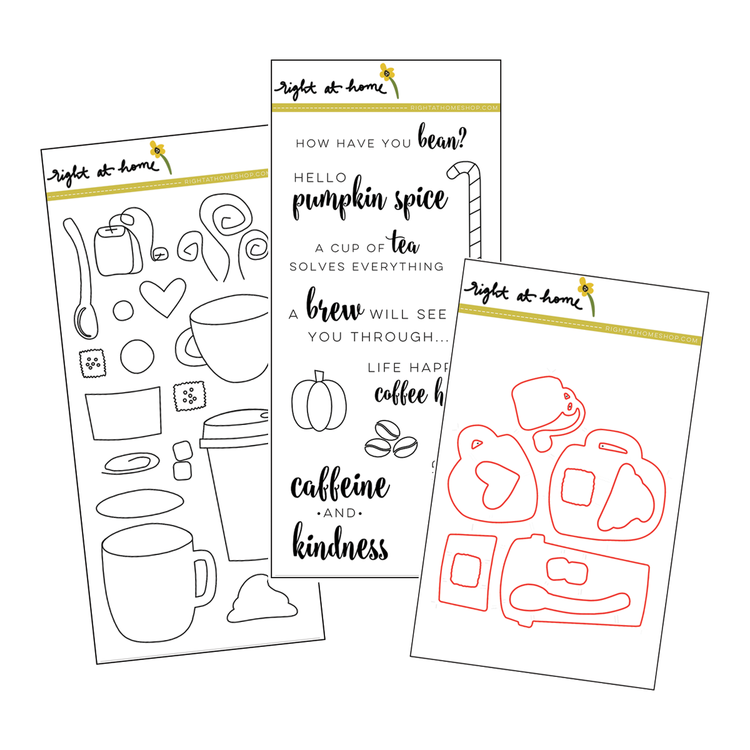 This is a great set full of Fun coffee sentiments. I stamped the sentiment in VersaMark ink onto a piece of Black card stock and heat embossed it in White. I decided to trim the piece into a banner and adhered it to the front of the card with some Foam Adhesive. The cups are also added with Foam adhesive. For a touch of Sparkle I added some Sparkling clean sequins from Pretty Pink Posh. Both of these set are available in the store now... and the new Valentine's release. Have a great day.. Thanks for stopping by!